Ivan Pavlov was a Russian physiologist best known in psychology for his discovery of classical conditioning. During his studies on the digestive systems of dogs, Pavlov noted that the animals salivated naturally upon the presentation of food. However, he also noted that the animals began to salivate whenever they saw the white lab coat of an experimental assistant. It was through this observation that Pavlov discovered that by associating the presentation of food with the lab assistant, a conditioned response occurred. This discovery had a reverberating influence on psychology. Pavlov was also able to demonstrate that the animals could be conditioned to salivate to the sound of a tone as well. Pavlov's discovery had a major influence on other thinkers including John B. Watson and contributed significantly to the development of the school of thought known as behaviorism. Take a closer look at Ivan Pavlov's life and career in this brief biography. Research on physiology and digestion. 1904 Nobel Prize in Physiology. Ivan Petrovich Pavlov was born on September 14, 1849 in a small village in Ryazan, Russia, where his father was the village priest. His earliest studies were focused on theology, but reading Charles Darwin's On the Origin of the Species had a powerful influence on his future interests. He soon abandoned his religious studies and devoted himself to the study of science. In 1870, he began studying the natural sciences at the University of Saint Petersberg. Pavlov's primary interests were the study of physiology and natural sciences. He helped found the Department of Physiology at the Institute of Experimental Medicine and continued to oversee the program for the next 45 years. "Science demands from a man all his life. If you had two lives that would not be enough for you. Be passionate in your work and in your searching," Pavlov once suggested. So how did his work in physiology lead to his discovery of classical conditioning? While researching the digestive function of dogs, he noted his subjects would salivate before the delivery of food. In a series of well-known experiments, he presented a variety of stimuli before the presentation of food, eventually finding that, after repeated association, a dog would salivate to the presence of a stimulus other than food. He termed this response a conditional reflex. Pavlov also discovered that these reflexes originate in the cerebral cortex of the brain. Pavlov received considerable acclaim for his work, including a 1901 appointment to the Russian Academy of Sciences and the 1904 Nobel Prize in Physiology. 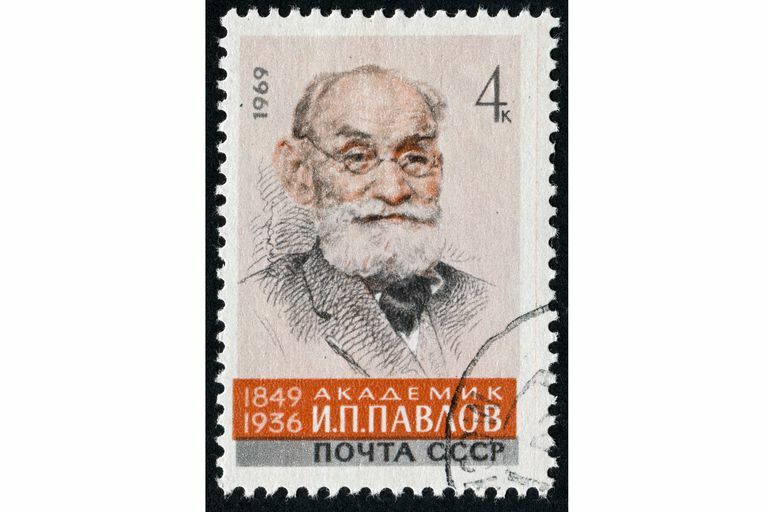 The Soviet government also offered substantial support for Pavlov's work, and the Soviet Union soon became a leading center of physiology research. He died on February 27, 1936. Many outside of psychology may be surprised to learn that Pavlov was not a psychologist at all. Not only was he not a psychologist; he reportedly disliked the field of psychology altogether. However, his work had a major influence on the field, particularly on the development of behaviorism. His discovery and research on reflexes influenced the growing behaviorist movement, and his work was often cited in John B. Watson's writings. Other researchers utilized Pavlov's work in the study of conditioning as a form of learning. His research also demonstrated techniques of studying reactions to the environment in an objective, scientific method. One of Pavlov's earliest publications was his 1902 text The Work of the Digestive Glands, which centered on his physiology research. Later works that focused on his discovery of classical conditioning include his 1927 book Conditioned Reflexes: An Investigation of the Physiological Activity of the Cerebral Cortex and Lectures on Conditioned Reflexes: Twenty-five Years of Objective Study of the High Nervous Activity (Behavior) of Animals which was published one year later. Ivan Pavlov may not have set out to change the face of psychology, but his work had a profound and lasting influence on the science of the mind and behavior. His discovery of classical conditioning helped establish the school of thought known as behaviorism. Thanks to the work of behavioral thinkers such as Watson and Skinner, behaviorism rose to be a dominant force within psychology during the first half of the twentieth-century. Schultz, D. P., & Schultz, S. E (Eds.). (2012). A history of Modern Psychology. Australia Belmont, CA: Thomson/Wadsworth. Todes, DP. Ivan Pavlov: A Russian Life in Science. New York: Oxford; 2014.